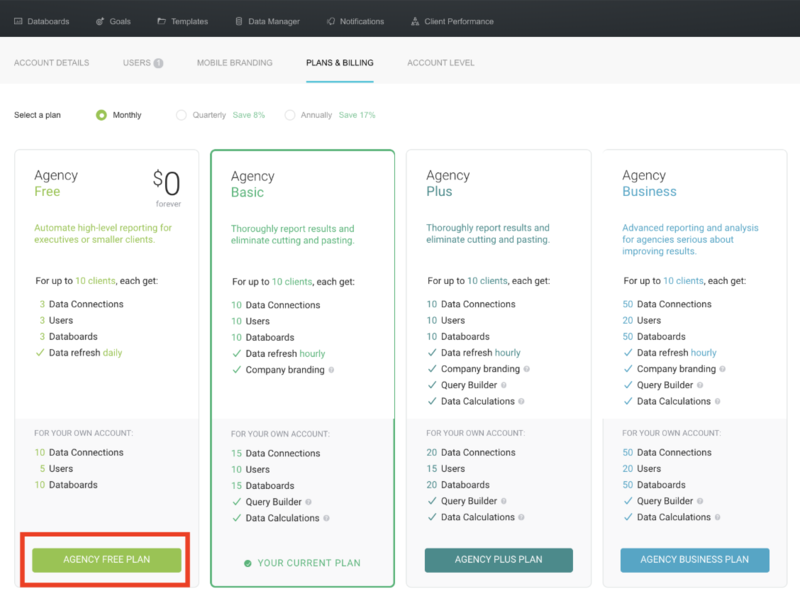 This article outlines how to downgrade a paid Agency Account to an Agency Free Account. Maximum of 10 Databoards and 10 Data Sources in the Agency Account. 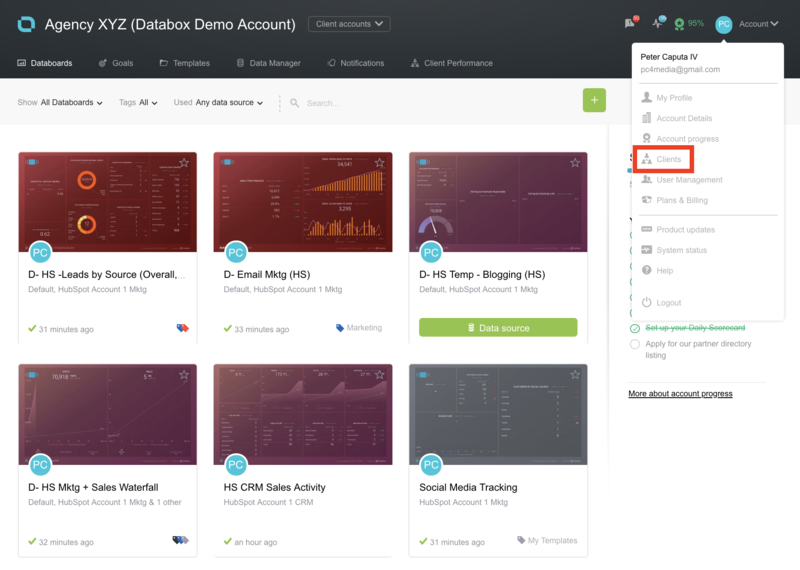 Maximum of 10 Client Accounts, each with a maximum of 3 Databoards and 3 Data Sources. To check your Agency Account limits, click Plans & Billing in the Account dropdown menu. To check your Client Account limits, click Client in the Account dropdown menu. Once you have verified that all Accounts fall below the Agency Free limits, navigate to the Plans & Billing page from the Account dropdown menu. 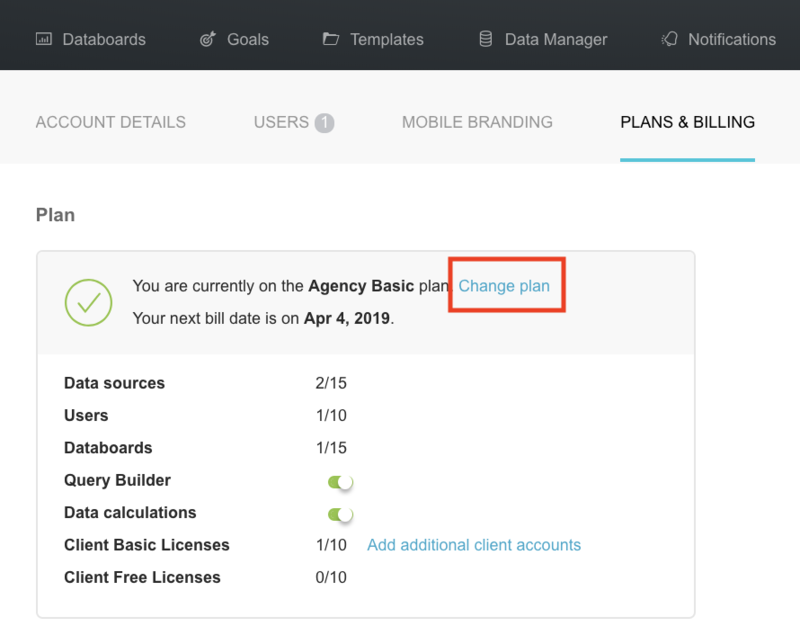 Click the Agency Free Plan button to successfully move your Account to the Agency Free plan. This will only be possible if all Accounts fall below the Agency Free limits.